The Auteur Theory is no longer anything discussed with any passion since it is so much in the air even the most casual film goer breathes. So upon the passing of Andrew Sarris it is important to remember that his Americanization of the Politiques des Auteurs, coining the controversial phrase for the first time in Volume 28 of Film Culture magazine in 1963, was an act of pure Cinehutzpah. When he coalesced the Film Culture writings into a book, The American Cinema, in 1968, he created Holy Writ. You think I am exaggerating? Go Google Andrew Sarris is Dead and see. So obsessed did I become with Sarris and his theory, so emboldened was I, that virtually every essay in school I was called upon to write in the year or so after first reading his Opus was on The Auteur Theory. Aside from wondering why I had no life my professors also found the whole thing, both the theory and my enthusiasm for it, preposterous. 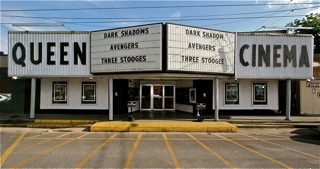 Everyone knows film is a collaborative art form. The director, aside from the monocle and megaphone, was just another staff member. And I have to admit the theory, in the end and under close scrutiny, doesn't exactly coalesce (what exactly is this "personality" that Sarris goes on and on about?). 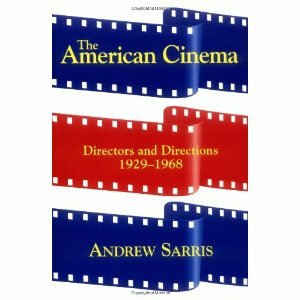 But what made Sarris so powerful was the attempt to articulate what those of a certain cinematic inclination already knew: that there was an abiding presence in the art of cinema, for good, bad or indifference, and we call that The Director. And no one who thinks about the cinema today even thinks for a moment that this is controversial.